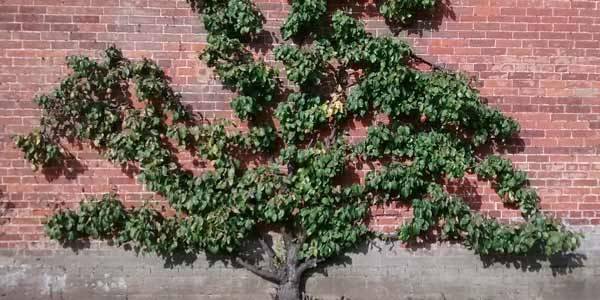 Edibleculture - Fruit Trees and Edibles - Naturally Inspired. Simply different. Take a difficult space and turn it into a productive haven. We have the ideas! Huge Range of Chillies and Toms! 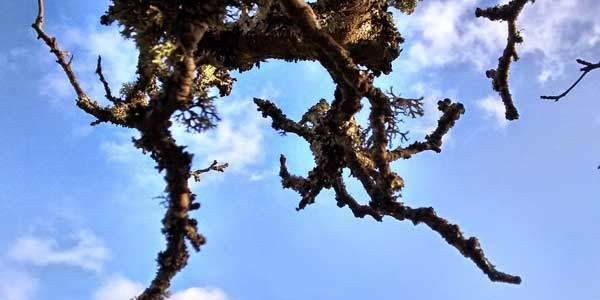 successful pruning can increase productivity and make your tree happy! From heritage apples varieties to rarities like medlar & quince.. A productive orchard that works with nature. If you have limited space and challenging soil the answer could be a trained tree..
A new vineyard is a realistic prospect. Installed with coppice supports in Kent..
Made in conjunction with the Abbey school. Strong and Eco Friendly! 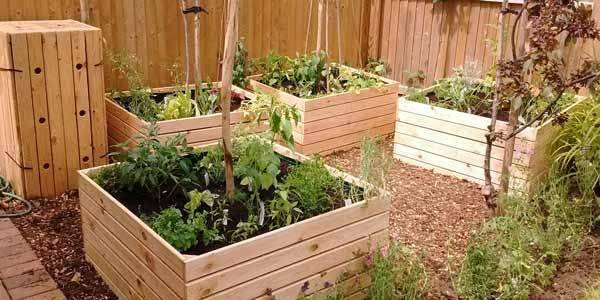 We are open for the best in environmentally sound gardening! We will not be selling any product with a single use plastic content and minimal ‘recyclable’ plastics. TRY our new compost ‘bag for life’ scheme, POSIpot and terracotta pots and paper bagged weighed seeds and feeds. 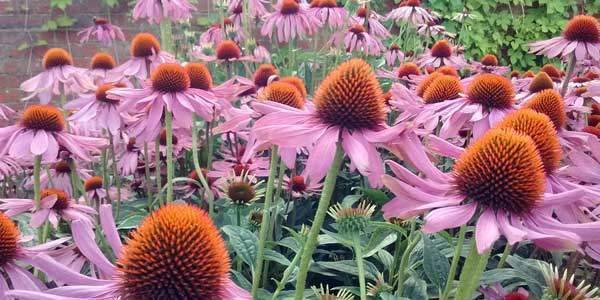 Herbs – From garden classics to heritage species. Sold in our own POSIpot degradable sleeves. 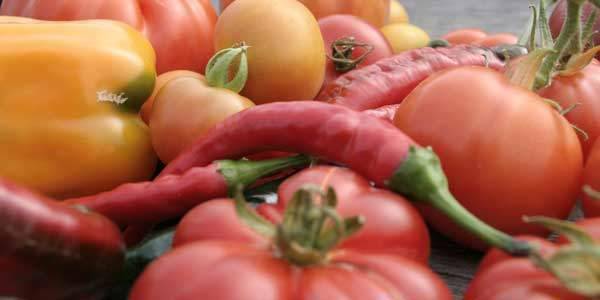 Vegetable plants – Heritage veg varieties, tomatoes and chillies. 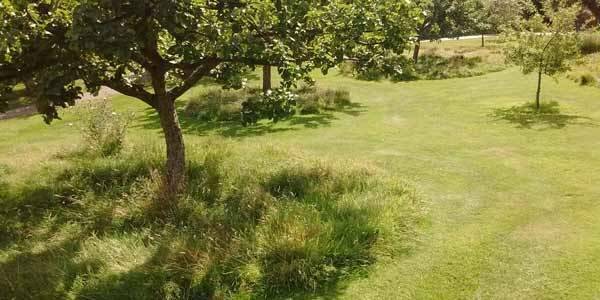 Fruit trees – Heritage varieties a speciality, trained trees and interesting species. New to this year is Treekits. Sold without plastic. 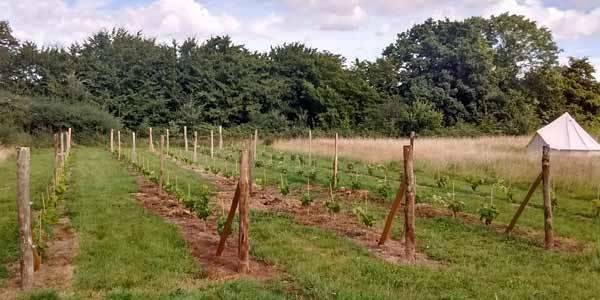 Hedgerow – Wildlife havens and productive also. As well as sourcing and selling the best tried and tested…. Melcourt Peat-free composts sold in our new bags for life. Fantastic seeds including loose peas and broad-beans. job is what enables a clear time-scale and costing. We can also advise on disease and pest control and focus maintenance plans on preventative measures. More..
We have a huge choice of fruit trees. Our bare-root range of trees include classics like Bramley and Cox but we also offers something different… think Quince , Kentish cobs, Medlars and heritage apple varieties like Laxtons superb. Our trees are UK grown and guaranteed for the first year. If you wish to proceed with us we ask for a 50% deposit for all trees and materials, if you want us to plant or install payment only after the work is done to your satisfaction! We want visitors to Edibleculture to feel welcome, inspired, and educated so don’t expect salesmen trying to push through a sale. As plants people we would rather explain to our visitors the benefit you will get from a certain species or variety and whether it is suitable for you and your garden, rather than sell you something that isn’t suitable. We are keen to work with permaculturists, forest gardeners and ‘no dig’ growers. We are an established business but we as growers ourselves want to learn and develop. Cherry pick from some of the great services we offer, a big choice of UK grown trees at the best prices around… support in planning, installing and maintaining your orchard. Contact us for courteous and reliable support underpinned by years of experience in orchard establishment, a keen understanding of our responsibility in promoting the use of environmentally sound processes like chemical-free pest control, balancing this with productivity and (of course) the taste of the fruit… be it for cider production, fruit for food production or just to enjoy for generations! Please contact us with any queries, interestingly we can provide rough quotes by examining site satellite images but we prefer to visit sites and talk through your requirements. Brilliant range of heritage trees – at a simple ‘one price for all’ structure. Rootstock advice, pollination checking, grafting of specialist varieties & trained tree installation. We also offer a great planning, planting service that makes your trees even cheaper when bundled together. 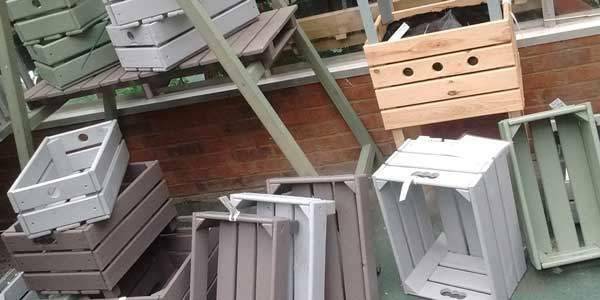 In Kent, Essex, East Sussex and London, we offer advised delivery. We will spend 30 minutes ON DELIVERY talking through positioning and planting techniques. This is a included service within our normal deliveries, if you require this outside of normal delivery times then a charge will be applied.